I first fell in love with tea when living in The Netherlands many years ago. Throughout Europe, I experienced wonderful tea shops with drawers of amazing aromatic loose teas. When I moved back to the states this was not available readily available. When I first found Teavana Tea, this was the closest tea experience I had found to since living in Europe. I became a loyal consumer for many years. Unfortunately, Starbucks purchased Teavana and in time closed both their physical and online stores. So when Adagio Teas contacted me and offered me a gift certificate to purchase and review my choice of teas, I jumped at the chance. I was in the market for a new go-to with a large selection of loose teas and am so happy to have given them a try. I do prefer loose teas to the convenience of a tea bag, on most occasions. The large tea leaves are so visually appealing and seem more aromatic, or maybe I’m just a traditionalist. I also like a wide variety of tea types so when making my selection, I selected one in each of these categories; black tea, green tea, and herbal tea. Earl Grey Bravo was my black tea selection. It is a Ceylon tea flavored with bergamot, to give a flavorful citrus taste. 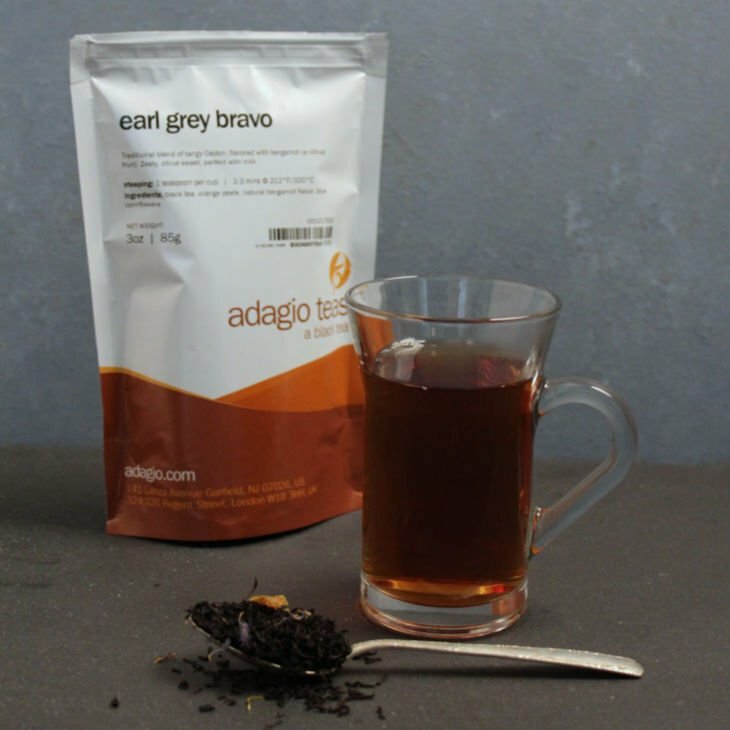 Earl Grey is my favorite flavored black tea and Earl Grey Bravo did not disappoint. It was wonderfully aromatic, with just enough bergamot favor to be bold without overpowering the rich black tea flavor. 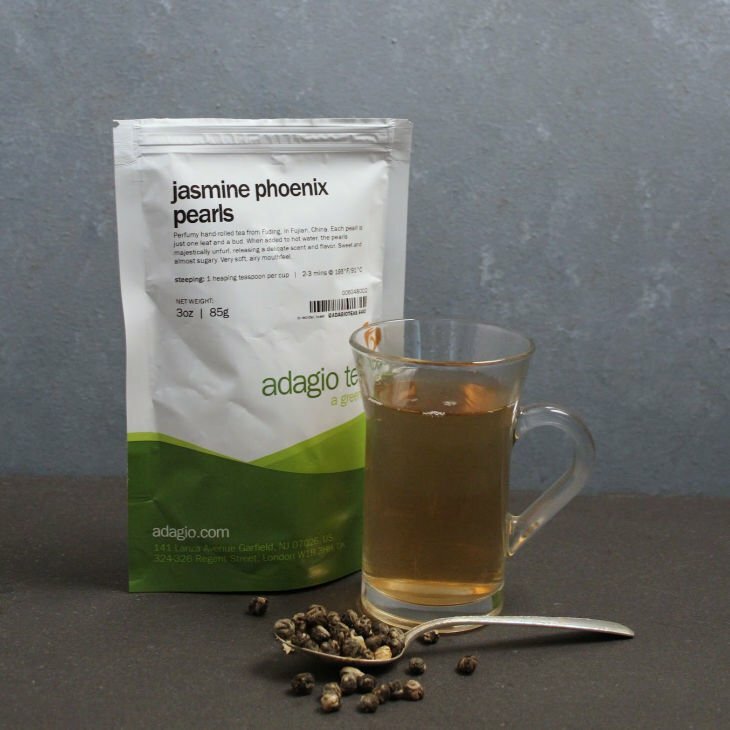 For my green tea, I chose Jasmine Pheonix Pearls. This is a very special and aromatic green tea. Each “pearl”, a tea leaf and bud are hand rolled into this unique shape. When steeping, the tightly rolled pearls unfold releasing a light and delicately flavored tea. Green Rooibos Bonita was the blend I selected for my herbal tea. Herbal teas are a great decaf alternative to black and green teas. 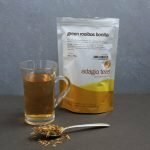 Rooibos, or red bush, is a caffeine-free tea alternative from South Africa. 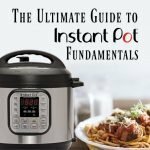 It is believed to have many health benefits, and is high in both minerals and antioxidants. 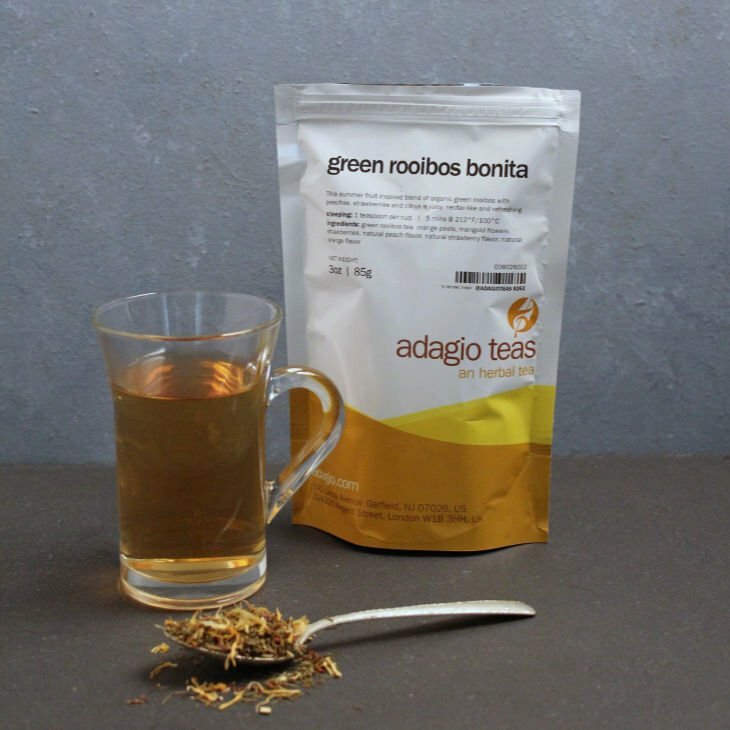 Green Rooibos Bonita is a refreshing blend with flavors of strawberries and peach, it also smells fantastic. 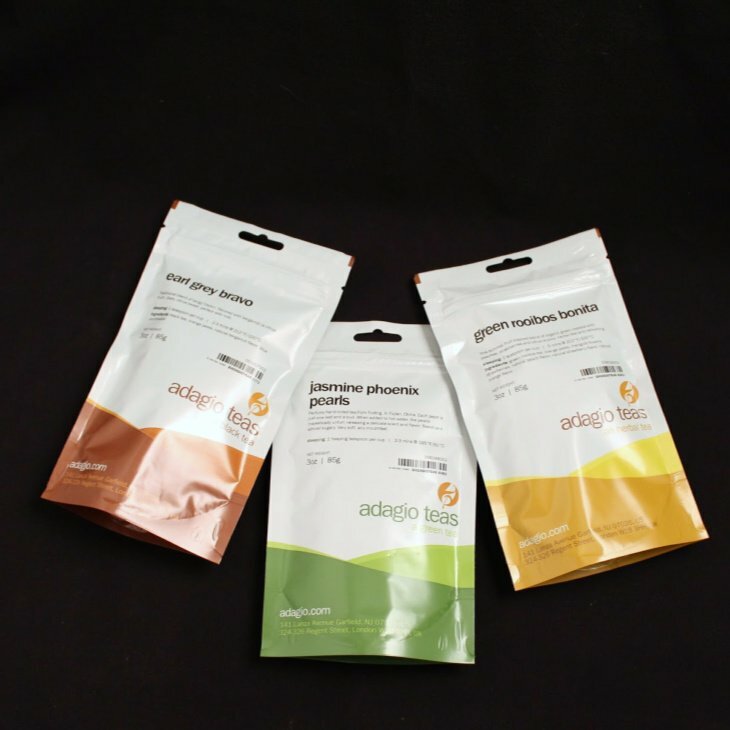 All in all, I can say that I couldn’t be happier with my experience with Adagio Teas. They have a huge selection of the loose teas I really enjoy. Their packaging is well sealed for freshness, and well labeled with recommended steeping temperatures and times (this varies for each type of tea). I can’t wait to try more of their blends. 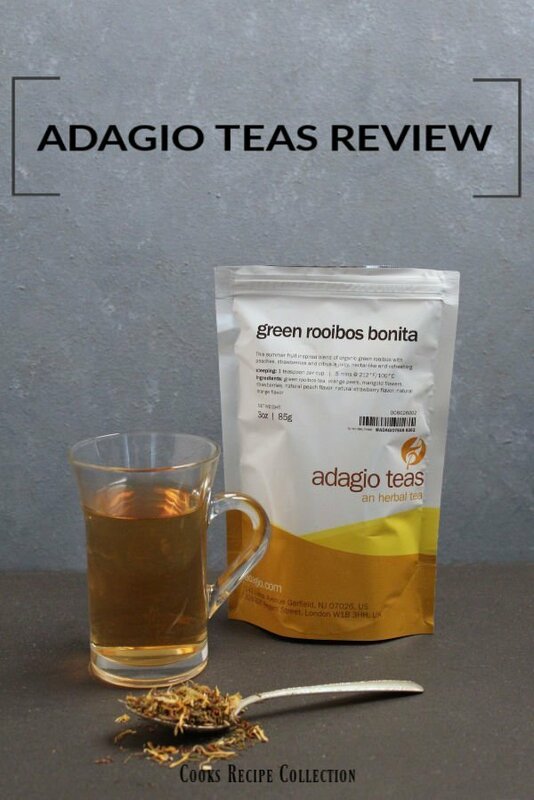 For all the former Teavana Tea fans, Adagio Teas has put together a page of recommendations just for us. 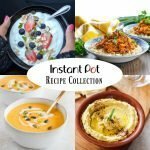 I’m sure you’ll find a great Teavana alternative for your favorites here. 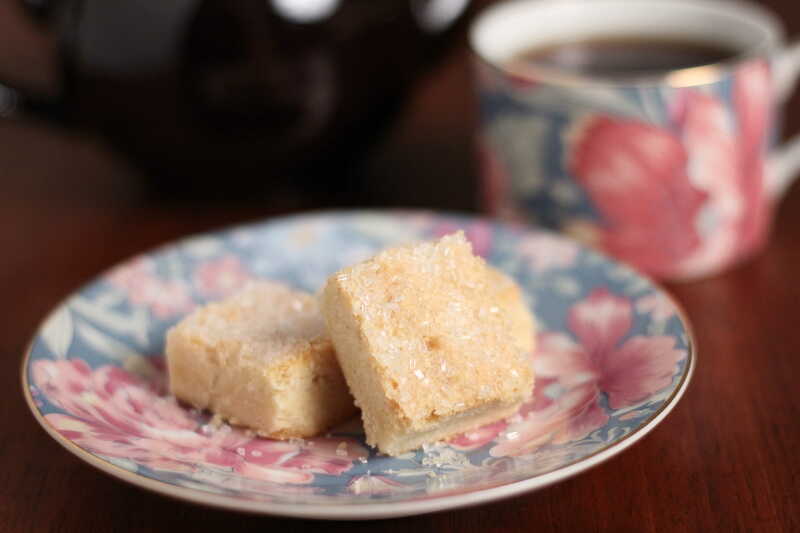 My husband and I love to have afternoon tea and this classic shortbread is my favorite tea time recipe. 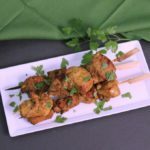 It’s the perfect accent to your favorite cup of tea, or even glass of iced tea during those hot summer days. While I’ve been known to enjoy a wide variety of teas, my current favorite tea is ToLife White Tea from Teavana. I hope you enjoy this classic shortbread recipe that is rich, buttery and melts in your mouth. Decoration alternatives: I like Wilton Sparkling Sugar, since it has a larger granule than regular granulated table sugar. Regular granulated sugar can also be used, but has a finer texture than shown in the photo. I also have used colored sugar for a holiday decorating alternative. Beat butter and powered sugar until well combined and fluffy, with electric mixer. Add flour, baking powder and salt to butter and sugar mixture; beat until combined. Press dough into an 8 x 8 inch ungreased baking dish. Prick the top of the dough with a fork and sprinkle with the granulated sugar. Bake in 350 degree preheated over for 25 minutes, or until lightly browned. Cut in 25 even pieces (this will be a 5 by 5 grid) and enjoy with your favorite tea.